Healthy, radiant, glowing skin is hydrated skin. As we age our levels of hyaluronic acid – the natural humectant in our skin that carries 1000 times its own weight in water – start to decline. This has a direct impact on our skin’s ability to regenerate. 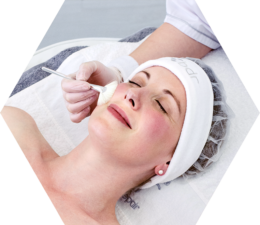 Our cells need hyaluronic acid in order to renew and when it isn’t present the renewal cycles slows-down leading to a gradual loss of elasticity and an increase in lines, wrinkles and dull, dry skin. Using a combination of advanced technologies and active ingredients BDR replenishes the skin’s hyaluronic acid reserves and strengthens its protective barrier helping it retain moisture. 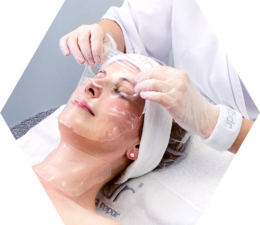 Large Molecule Lactic Acid in our peel binds in moisture and prevents the build-up of dead skin cells on the surface of the skin. 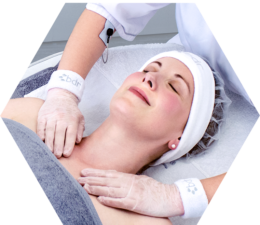 Our patented Pain Free Microneedling treatment creates tiny micro-channels providing a direct route for BDR Cosmeceuticals to reach every layer of the skin. Multi-weight hyaluronic acids in our range hydrate the skin from the inside-out and carry essential nutrients to the cells helping to promote healthy function and robust renewal cycle. 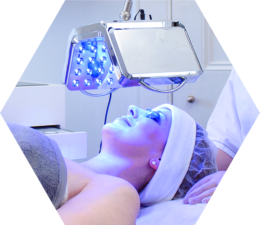 LED Light Therapy treatment boost cell renewal and supports natural hyaluronic acid production. BDR Hydrating treatment lasts appoximately 60 minutes. Please allow some time for the initial consulatation.